July marks the end and the beginning of a couple of things for Vanity Trove. But before I get into that, let's take a look at this month's incredibly generous trove! 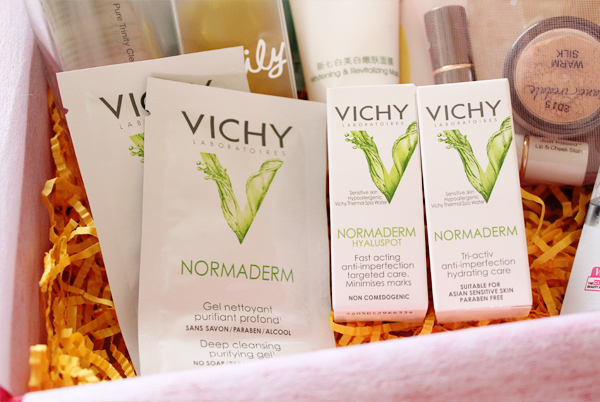 First up, we have Vichy's Normaderm. Meant for troubled skin, there are sachets of the Cleansing Purifying Gel, Tri-Activ Moisturizer and Hyaluspot. The cleanser clears and unclogs pores and the moisturizer hydrates whilst fighting imperfections and excessive sebum production with its contents of Salicylic Acid, Glycolic Acid and LHA. Hyaluspot completes the little skincare regime by attacking sudden spots, eliminating bacteria within 2 hours and making them disappear within 2 days! 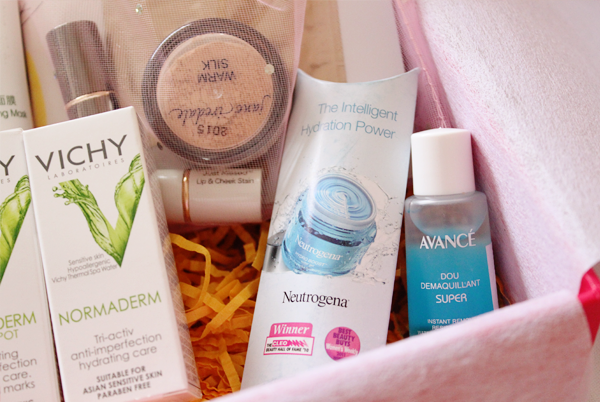 Next, it's Neutrogena's Hydro Boost Water Gel and Avancé's Instant Remover. The former tackles skin dehydration at its roots by restoring more than 200% of our skin's moisture levels. It absorbs into our skin easily, without any greasy feeling and with hydration that lasts up to 12 hours. The latter is a makeup remover that contains soothing chamomile flower extract and moisturizing trehalose. It removes even the most stubborn makeup easily, effectively and gently. Jane Iredale is a completely new brand to me. 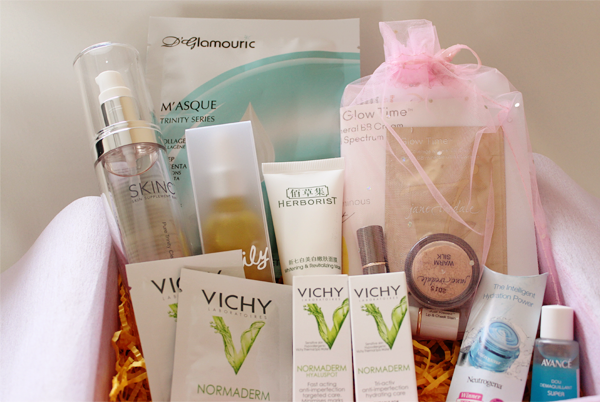 It is a comprehensive line of mineral makeup that aims to enhance our lives by delivering personal and natural beauty. 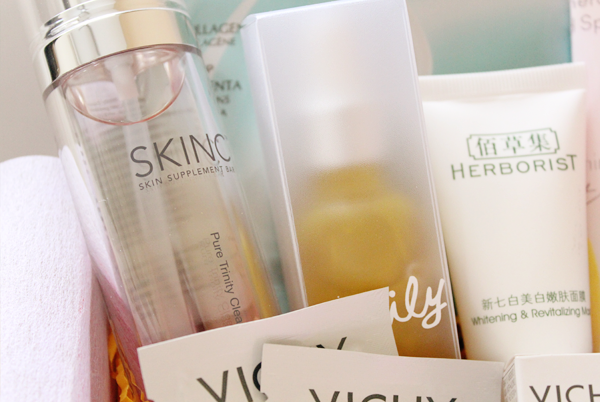 Each product has undergone rigorous testing to ensure skin safety. It is apparently the number one makeup choice of skincare professionals and is recommended by plastic surgeons and dermatologists worldwide. Then we have two full-sized bottles of Skinc's Pure Trinity Cleansing Oil and Regulate Vitamin C Serum!!! 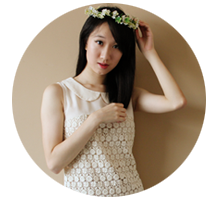 And we all know that the brand's hellishly expensive, so a big thank you to Vanity Trove! The cleansing oil contains 3 layers of pure active ingredients to remove makeup and dirt and cleanse our skin gently and effectively. At the same time, it also helps to refine, calm and protect our skin. Regulate Vitamin C is part of the brand's My Daily Dose range. It is a customized cocktail of serums that minimizes pores and prevents the outbreak of inflammatory pimples. 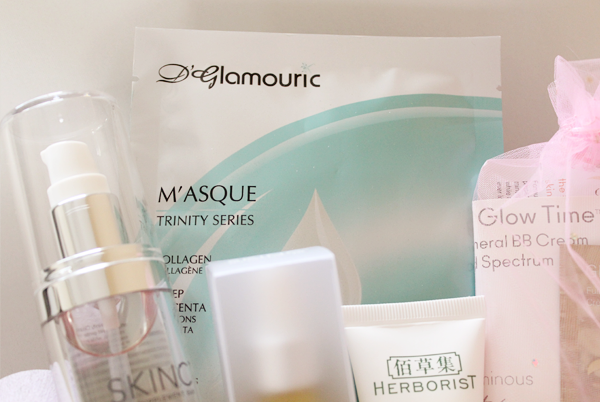 Last but not least, we have D'Glamouric's Trinity Series Masque. This mask contains sheep placenta serum extract, collagen and witch hazel to whiten, rejuvenate and firm our skin. Head on over to Vanity Trove's website here to register for an account. 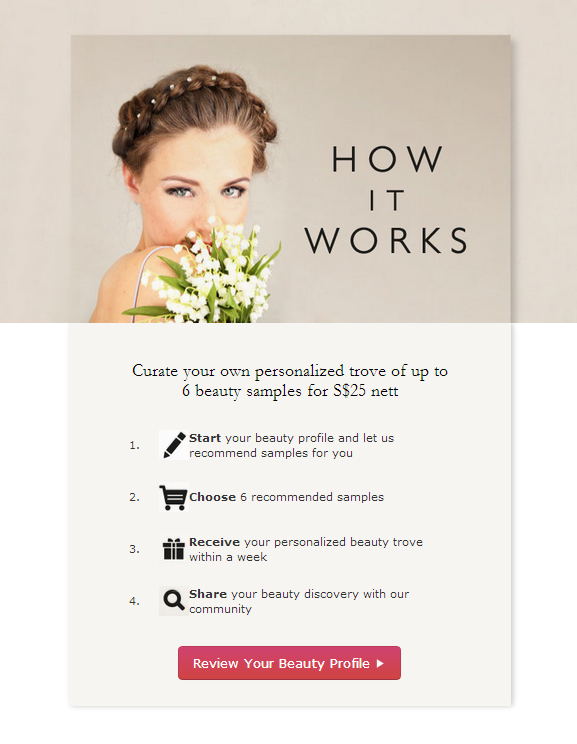 Next, click here to fill in your Beauty Profile and Preferences. Then, explore the 'Products' and 'Brands' sections and add your favourites. This helps to unlock more samples (of the products and from the brands) for you and you will be able to pick them up should they be released. 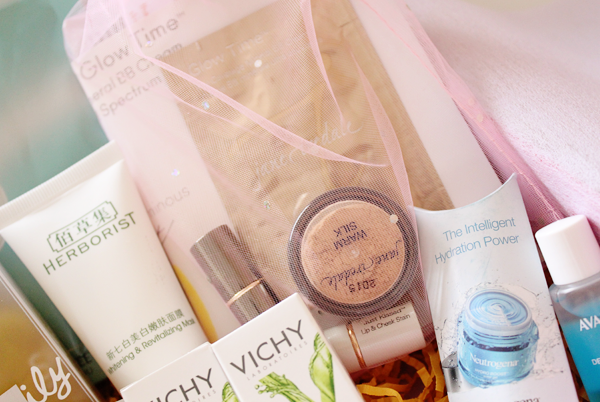 Finally, head on over to 'My Vanity Trove' under the section 'Shop' and pick your trove of 6 samples!